I have no shame in how much toast I eat and it’s rare I meet a toast I don’t like. A crisp slice of toasted bread piled high with vegetarian delights is the perfect way to start (or end) the day. 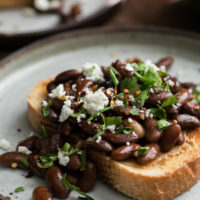 Sure, most popular is the solid avocado toast but I say give me toast piled high with garlicky beans any day. 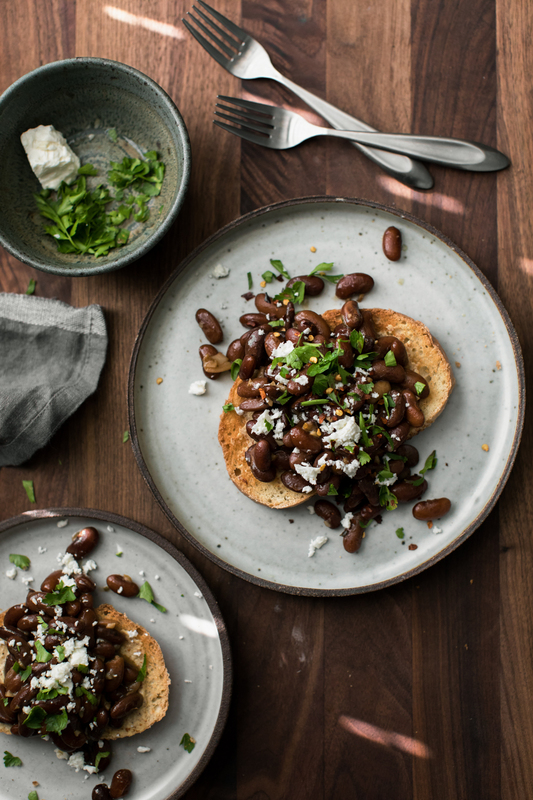 This bean toast recipe is fast and is the perfect meal for any time of day. Play around with the herbs, add your favorite vegetables or serve it with a salad- so many possibilities! One quick note- I originally made this recipe with pinto beans but the video shows kidney. Either are fine to use! Just make sure your beans are not super old- you want these beans to be tender by the end of cooking. Heat a small pan over medium-low heat. Add the olive oil followed by the garlic. Sauté until the garlic is golden 1 to 2 minutes. Add in the pinto beans with their liquid. Bring to a boil, reduce to a simmer, and cook until most of the liquid is gone. Taste and add salt as needed. Tips + Tricks: As mentioned in the video, I like to cook my pinto beans with rosemary. If you’re using canned beans or beans with different flavors, I recommend adding a teaspoon or so of fresh rosemary to the garlic/bean mixture. This is one of those recipes to use loosely. Add and swap to your hearts content- it’s pretty hard to make this simple recipe taste bad. I think the only way you could do that is if you cook too much liquid out of the beans. Salads/Grain Bowls: Skip the bread and use these beans in salads and on grain bowls. For salads, I would recommend letting the beans cool before adding to the greens. Vegan: Leave off the feta and make sure your beans are salted well enough. 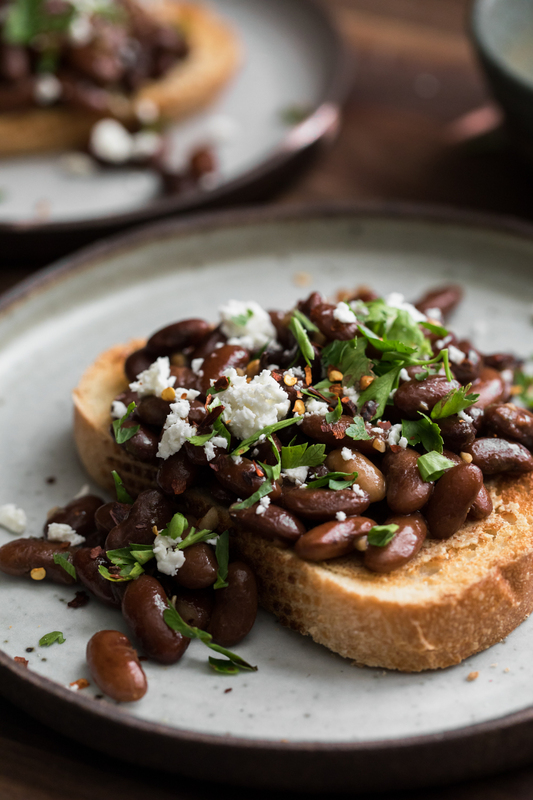 Legumes: Swap out the kidney beans for white beans, lentils, or pinto beans. Black beans and chickpeas get a lot of attention on the site but the truth is, it’s hard for me to choose a favorite. 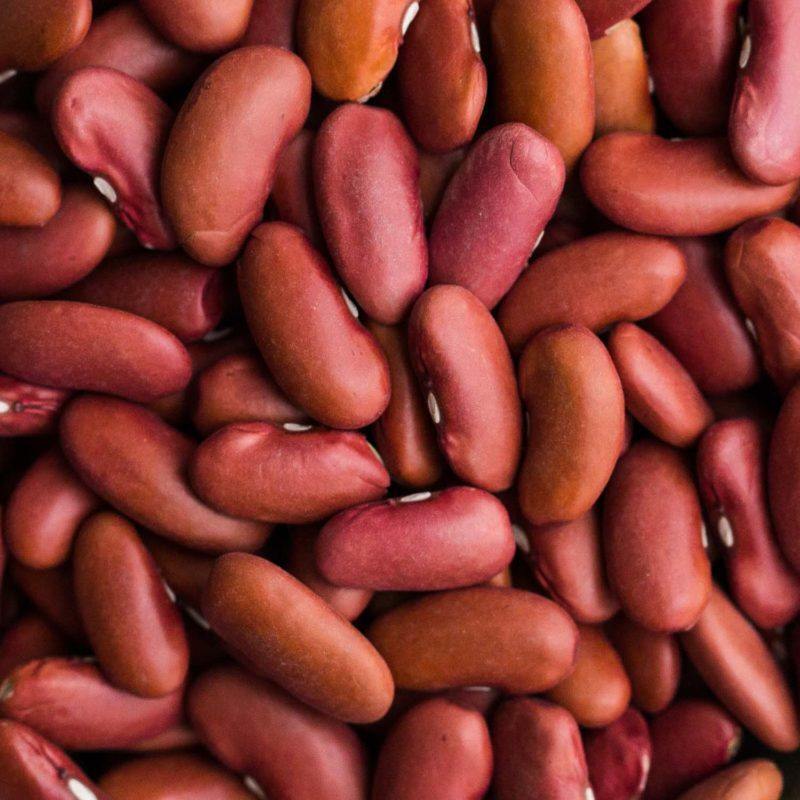 I love the look of kidney beans with their beautiful color. Plus, they soak up flavor and make for perfect soups, stews, and toast!